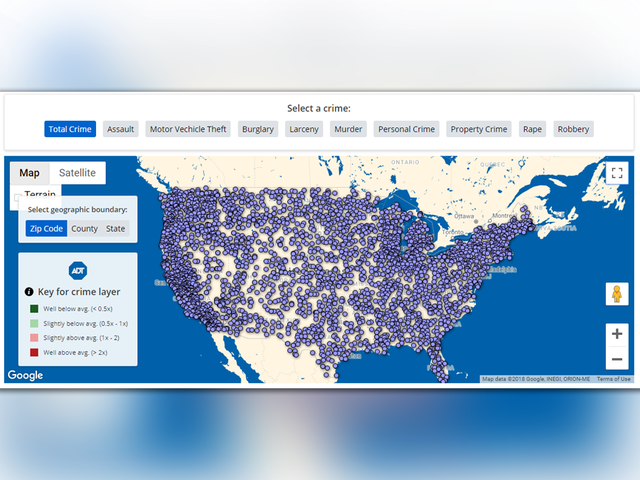 ADT Inc., an American company that provides residential and small business electronic security, fire protection, and other related alarm monitoring services, has released an interactive crime map for the entire United States. The company said they released the interactive crime map "to help make sure you understand as much as possible about potential crime in your city or neighborhood." According to the website , by "using the most recent data available, you can explore how your area compares to the national average for crime, including assault, vehicle theft, robbery, and more." To see how your city or neighborhood compares to the national average or to learn more about the interactive crime map, visit www.adt.com/crime .